We’re 45 years, or 16,425 hours!! & what about those elephants! 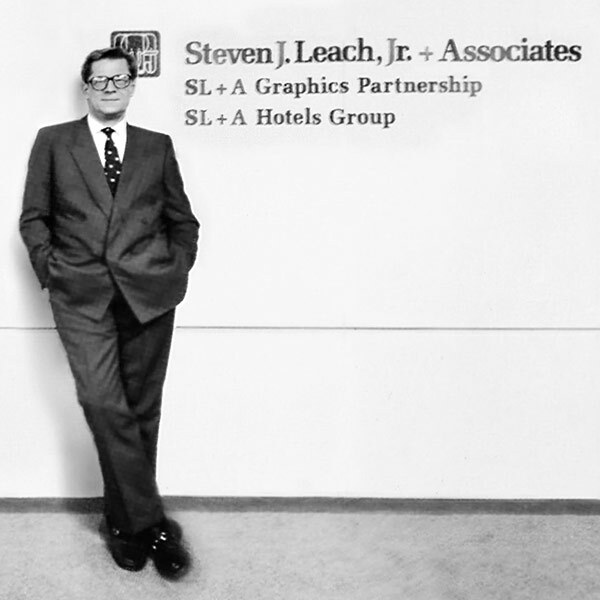 Since our founding by Steven J. Leach Jr. in August 1972, (we’re Leos- tenacious and lion hearted – but more of that later), The Steven Leach Group has provided inspired design to our clients across a wide spectrum of geography and sectors. After establishing our Hong Kong office, Steven set up the offices in Manila (1974) and Singapore (1975). The Manila office was led – pretty much from its inception – by Benjamin Hughes a Kentucky native who had been living in Manila since the mid 60’s. Ben became one of the 3 senior group partners and was active in the firm and in design until his passing in 2015. Ben created fabulous work in the residential, clubhouse, and hospitality sectors. The expansion into Singapore office was originally headed by John Breuer’s ( better known for his hospitality design in Asia) who handed it to a few interim leaders until 1979 when Chris Devitt – and Englishman raised in Singapore and Kenya – joined and acted as principle until his death in 2009. Chris and the team in Singapore were the vanguard in corporate office design developing exceptional solutions for the likes of UOB, Deutsche Bank, GIC and many other prominent projects. 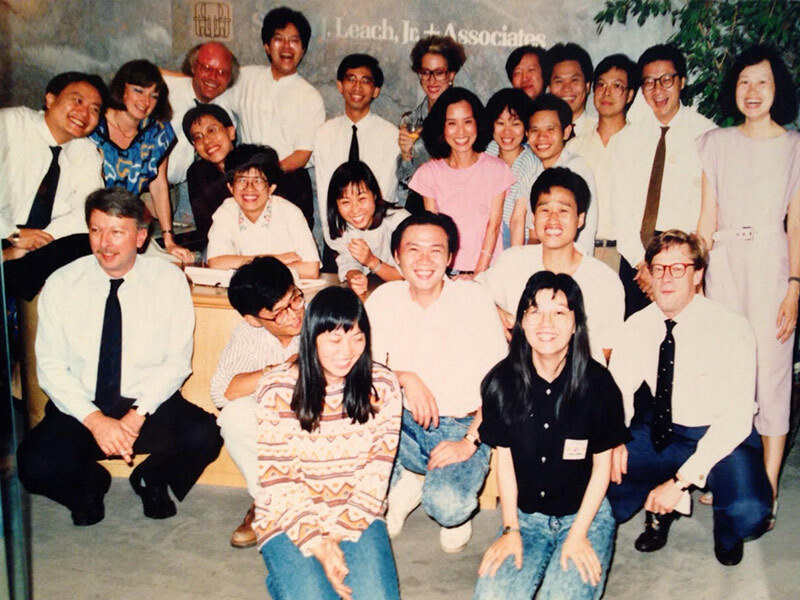 From 1988 -1992 after returning to concentrate on Asia, Steven Leach & Associates , the three partners followed clients to Taipei, Tokyo, Bangkok and Kuala Lumpur setting up office along the way and creating the basis for today’s network. On the back of client needs, we then added Seoul (2002) and Shanghai (2002) to round out our current practice. Currently managed by 11 holding company members, (with more than 220 years of experience in the group between them) SL&A still believes in the simple idea that good design says you care about your clients, staff, and stakeholders more than any other cultural touchpoints or business strategy. SL&A continues to progress as a group, opening doors to find solutions which bring our clients and associates great design which answers the questions they are asking. About Steven J. Leach Jr.
Steven was born in Midland Texas in 1940, and studied Architecture at the University of Texas, Austin, and Pratt Institute in New York City. He moved to Hong Kong in 1970 and worked for Dale Keller, and went on to set up Steven Leach Jr. & Associates in 1972. After expanding the firm throughout East Asia, he died an untimely death in 1996. He loved all things elephant, (as well happy clients, and great design) as his collection of more than 100 elephantine ties bore witness to. Since childhood, elephants fascinated Steven. In 1975, whilst in Singapore, a fortune teller told Steven that the elephant was his lucky animal sign; – phonetically his name sounds like ‘elephant’ in Chinese. At the same time, Steven had just returned from Jakarta where he coincidently stayed at a hotel which had three elephants with a turbaned mahout sitting atop them as its symbol. Two months later when he opened the Manila office, he thought a stylized version of this symbol would justly represent SL&A, with each of the three elephants representing one of the offices. Over time the three elephants have now come to represent the values of our firm; Trust, Tenacity and Teamwork.